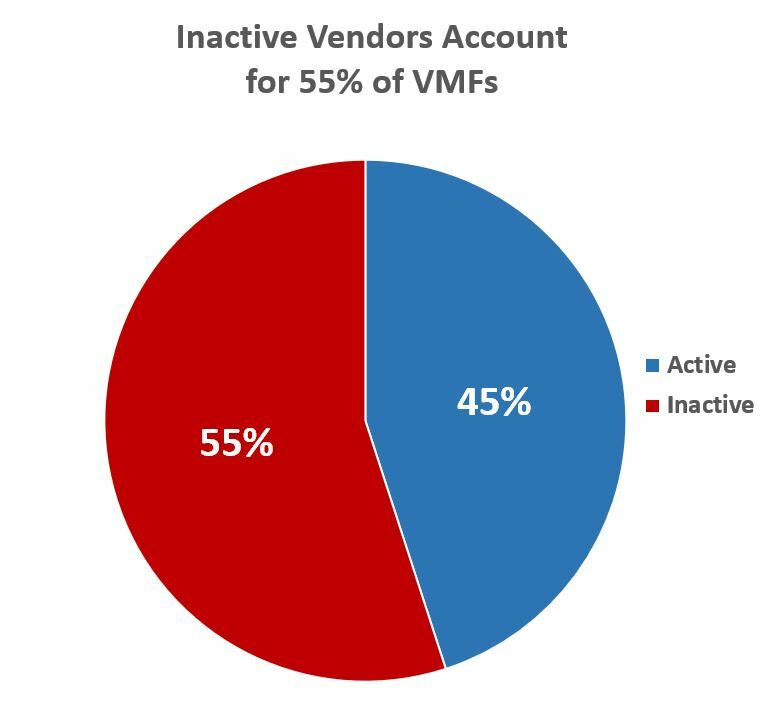 How Many Inactive Vendors Are in Your VMF? 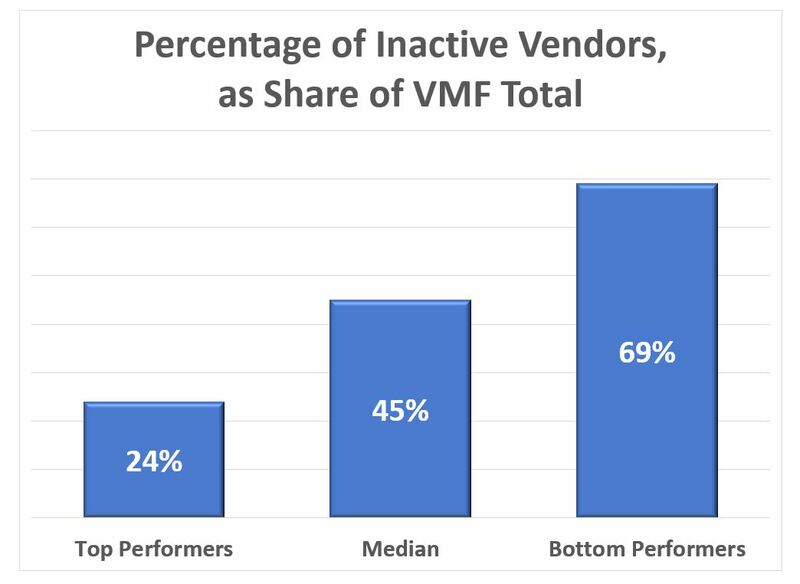 A recent benchmarking survey by IOFM indicates that overall, more than half of the vendors in respondents’ vendor master files are inactive. While organizations with better vendor master file hygiene were able to whittle this down to a mere 24 percent, bottom-performing organizations reached 69 percent, almost three times as many. Cleaning the vendor master file is not just a matter of housekeeping—maintaining inactive vendors in your file can cause serious problems. The more there are, the greater the likelihood that someone will mistakenly enter an invoice using an inactive account. And perhaps an even greater risk is that it opens your organization up to fraud. Unscrupulous employees can easily change the banking information on those inactive records and send payments to themselves. The vendors won’t be looking for payments since they aren’t doing business with the organization any more, allowing the scam to go on undetected. Your best defense? Monitor inactive vendors and deactivate them after a set period of time—a year or 18 months is common, depending on the nature of your business. Want to know more about how to become a vendor master file pro and move your organization into the top-performing group? Consider enrolling in the VMF Master Class here.